She is the cat's meow in her new glittery obsession from Keds x kate spade new york® Kids! Slip-on style with elastic side goring. Glittering 3D ears and kitty face at the toe. 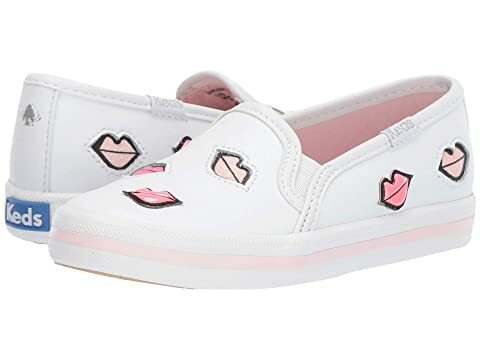 We can't currently find any similar items for the Double Decker (Toddler) by Keds x kate spade new york Kids. Sorry!